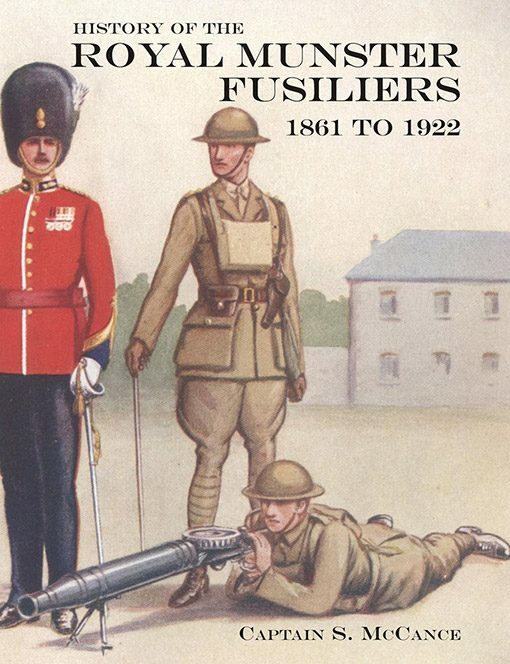 Unit history of the Royal Munster Fusiliers from their formation in India in 1861 until their disbandment on Irish independence in 1922. Principally focuses on their deployment at Gallipoli and their service on the western front late in the Great War. 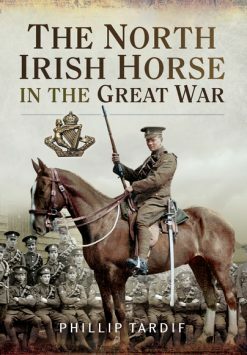 This history relates the story of one of the British Army’s fighting Irish units from the middle of the 19th century to its disbandment on the attainment of Irish independence in 1922. 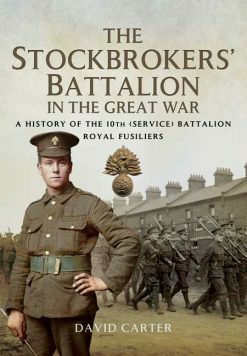 Originating in India as the 101st Regiment of Foot (Royal Bengal Fusiliers) the Munster Fusiliers subsequently served in the Boer War. 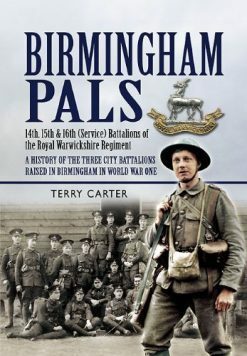 The bulk of this history, however, covers their distinguished record in the Great War when they were deployed at Gallipoli – being among the units that landed on ‘V Beach’ from the ‘River Clyde’ on April 25th 1915. The Munsters subsequently landed at Suvla Bay in August 1915, and continued to serve in the Dardanelles until the evacuaion in January 1916. After being re-deployed to France in March 1916, the Munsters served at Ginchy on the Somme; at Wytschaete in the battle of Messines in June 1917; at Cambrai in November 1917; and resisted the German offensive in March 1918. They took part inn the final Allied advance to victory from July 1918, serving on the Drocourt-Queant Line; and the Canal du Nord. The Munsters were formally disbanded in July 1922. 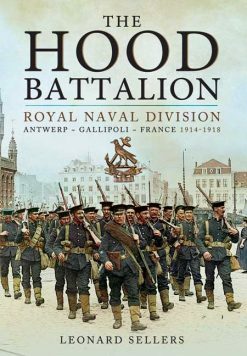 This is a handsome unit history, with colour illustrations, which will fascinate any student of the Great War – particularly Gallipoli- and anyone interest in the Irish units of he British Army.